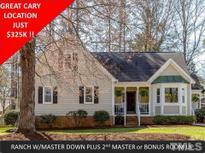 Below you can view all the homes for sale in the Scottish Hills subdivision located in Cary North Carolina. 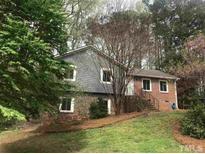 Listings in Scottish Hills are updated daily from data we receive from the Raleigh multiple listing service. To learn more about any of these homes or to receive custom notifications when a new property is listed for sale in Scottish Hills, give us a call at 919-634-6501. Easy commute to Raleigh, Apex, Morrisville, Durham & Chapel Hill. MLS#2248138. 2677. A home like this does not come along often, so don’t let it pass you by! MLS#2247102. 4247. Great block parties! Repairs completed. appliances convey. MLS#2245083. 1128. Beautiful flat fenced yard w/deck, over sized storage shed, gardens & landscaped throughout. Lots of storage. MLS#2242997. 3270. Corner lot you have to come see! ! MLS#2229433. 584. Upgraded features include fresh interior paint. MLS#2222379. 4823.